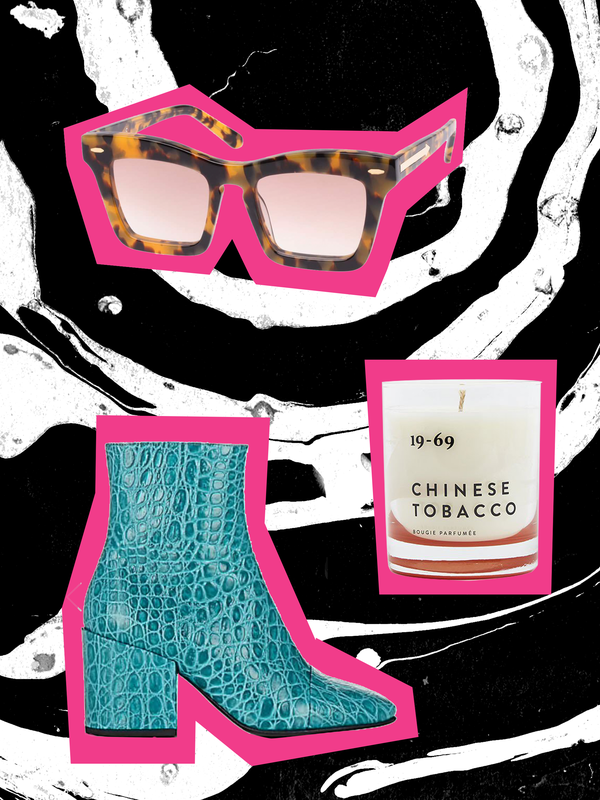 Karen Walker Banks Rectangle Acetate Sunglasses, 19-69 Chinese Tobacco Scented Candle, Dries Van Noten Cap-Toe Stamped Leather Ankle Boots. Rays your game in these rectangular tortoiseshell glasses with gradient lenses. Perfect for upgrading your sunnies, or going the literary route and fitting them with prescription lenses. 2019 is all about bringing back the brief, especially if they look and feel like Chantelle’s seamless iteration, designed to be undetectable under tight jeans and form-fitting dresses. Made from a vegetable-blend wax that has an East-meets-West scent—smokey with base notes of incense, cedar wood, vanilla, tar, oud, vetiver; heart notes of ginger, coriander; and finished with bergamot, tobacco, red pepper, lemon. Stamped with a crocodile texture, these boots from celebrated Belgian fashion designer Dries Van Noten are all the statement your winter wardrobe needs. Not only do we love the look of these containers, but they keep us mega-organized in the kitchen. A push-button mechanism in the lid provides an airtight seal so your cereal, crackers, and cookies stay crunchy.